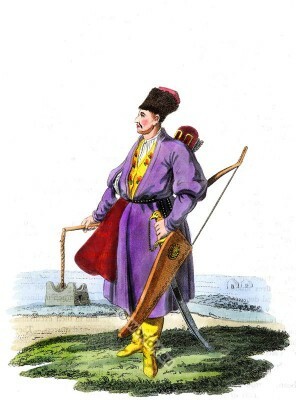 An armed Turcoman, with his Bow 1803. An armed Turcoman. Ottoman empire warrior costume. Asian knight. Costume of the Russian empire by Edward Harding 1803.